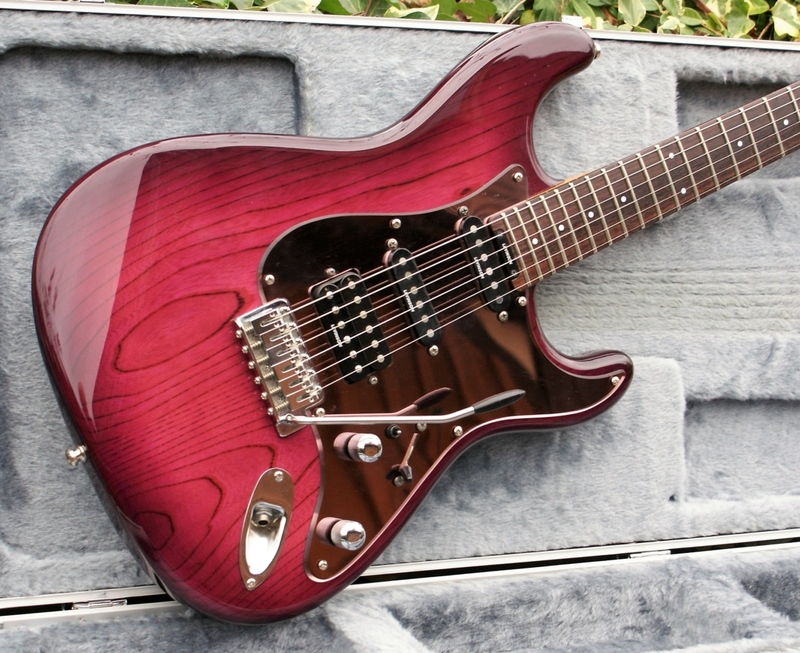 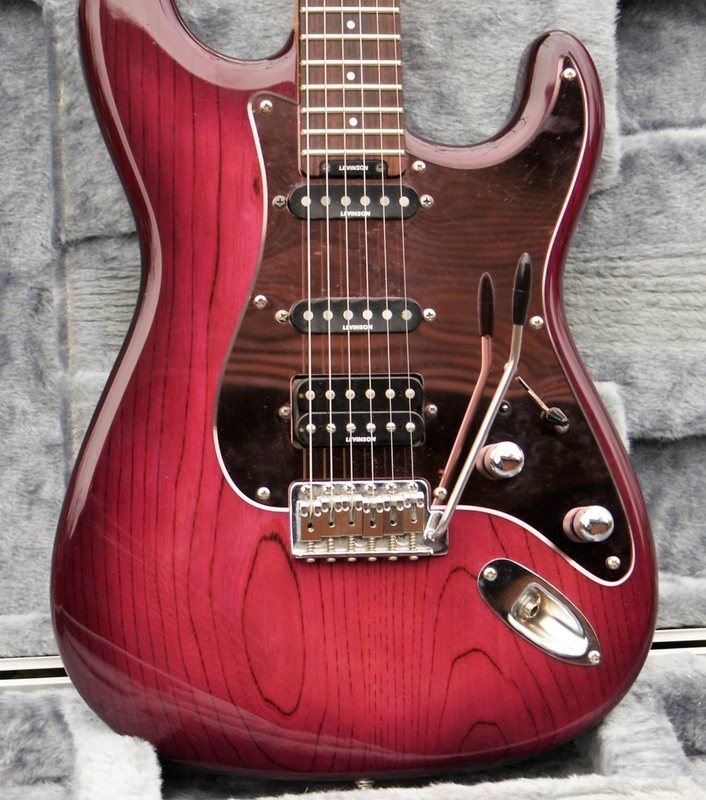 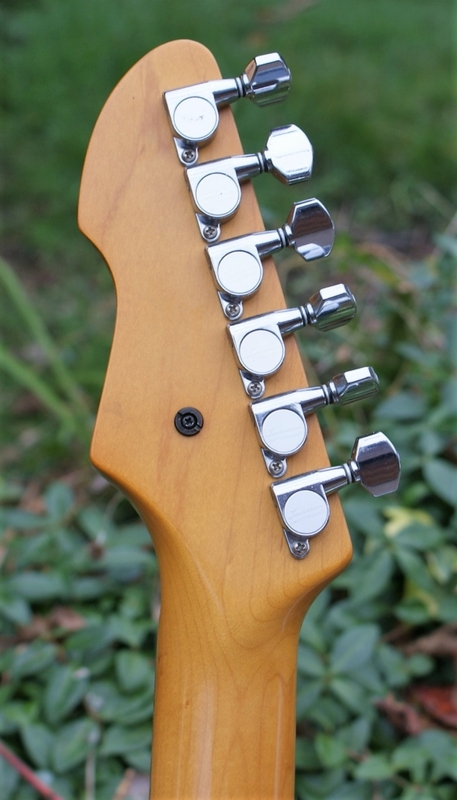 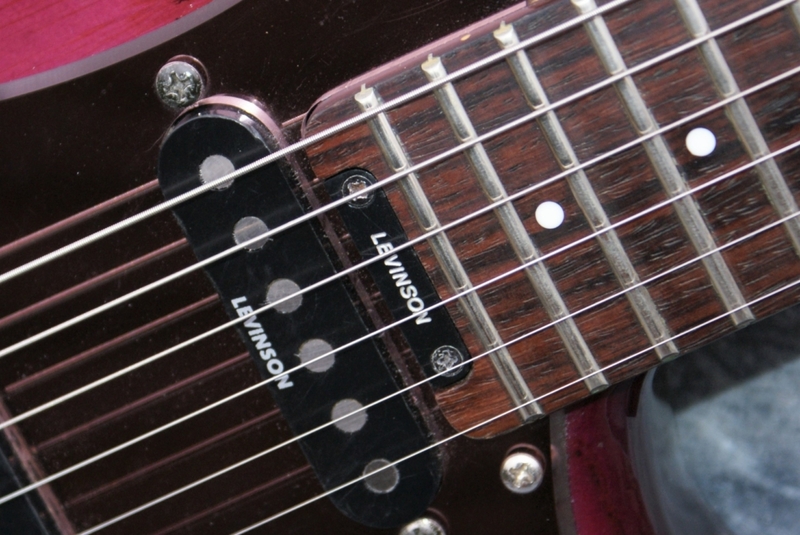 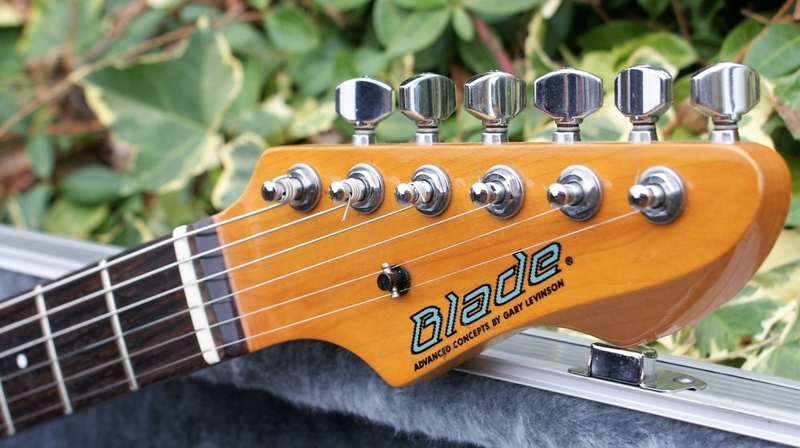 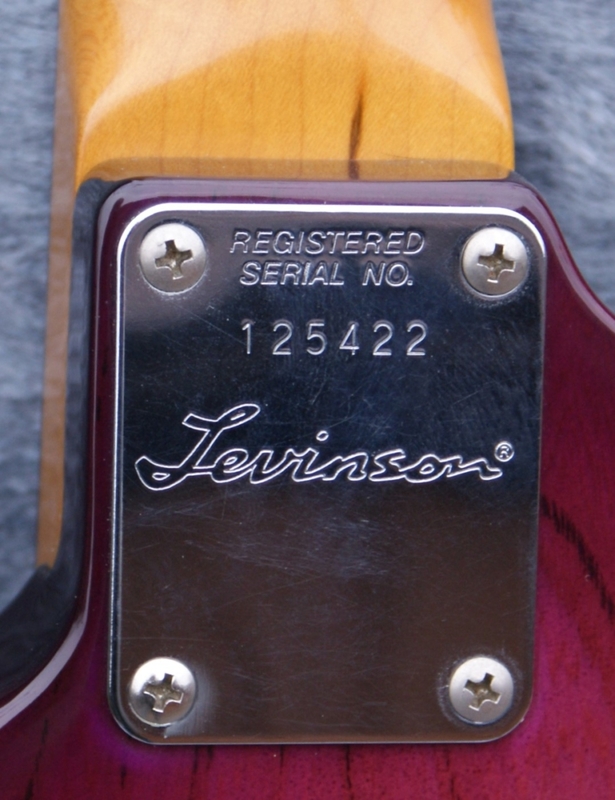 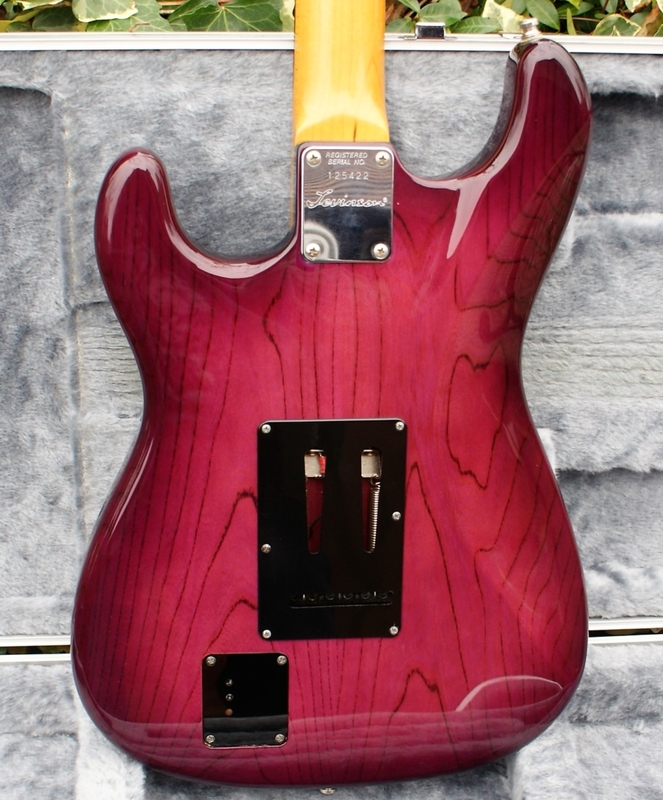 Beautiful Levinson Blade “Super Strat”. 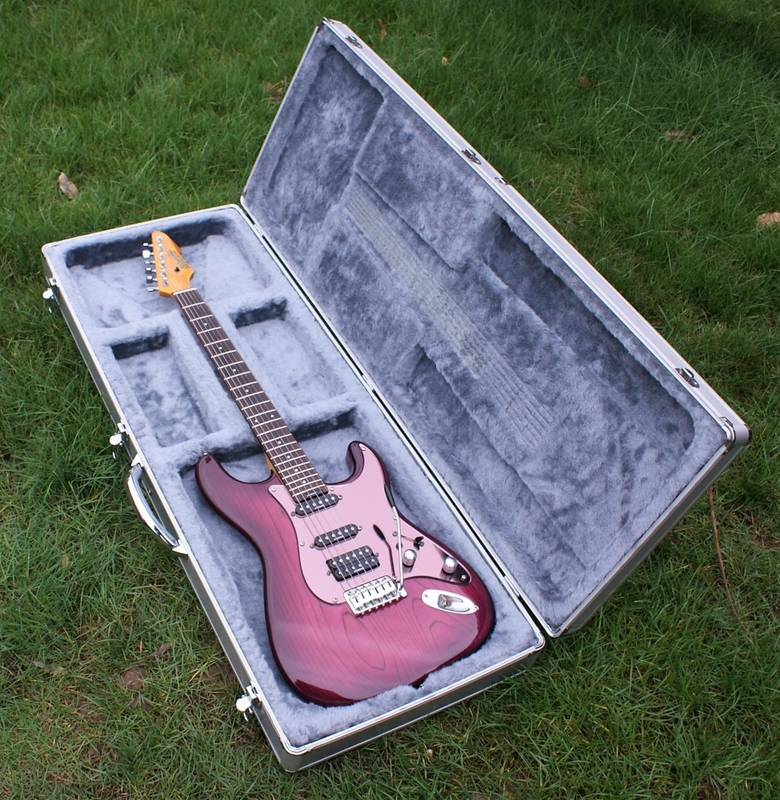 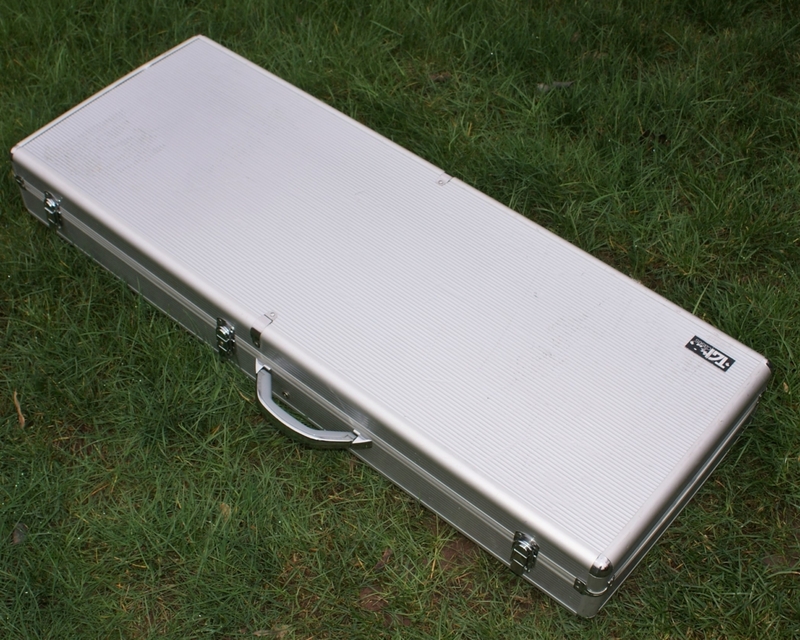 in excellent all-round condition with Exceptional “TGI” aluminium flight case. 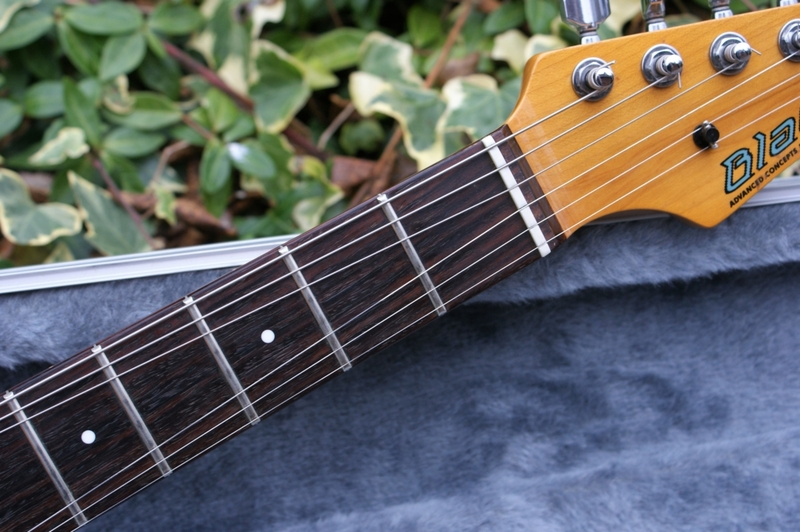 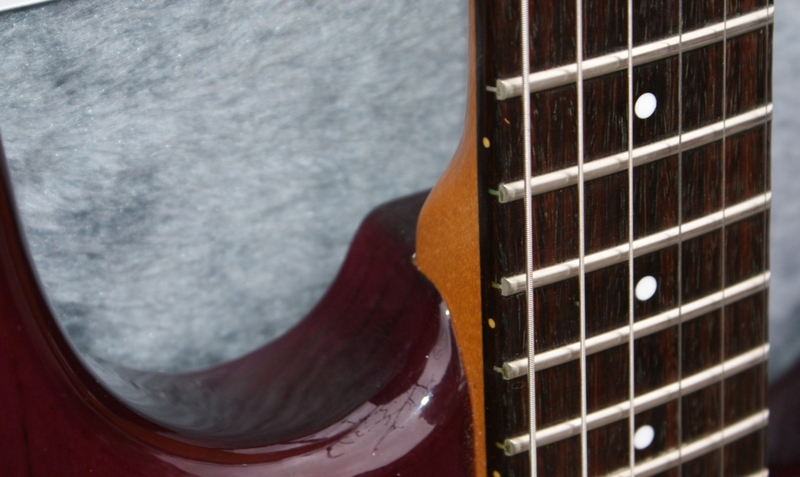 This guitar has hardly been gigged & is almost pristine. This is the slightly rarer RH-4 Standard model (RS-4) offset double cutaway, with a sen ash body, bolt-on hard rock maple neck, 22-fret rosewood fingerboard with pearl dot inlay, Levinson Vint-Edge FT-3 tremolo, graphite nut, six-per-side levinson tuners, chrome hardware, sepia mirror pickguard and body finished in Mystic Violet. 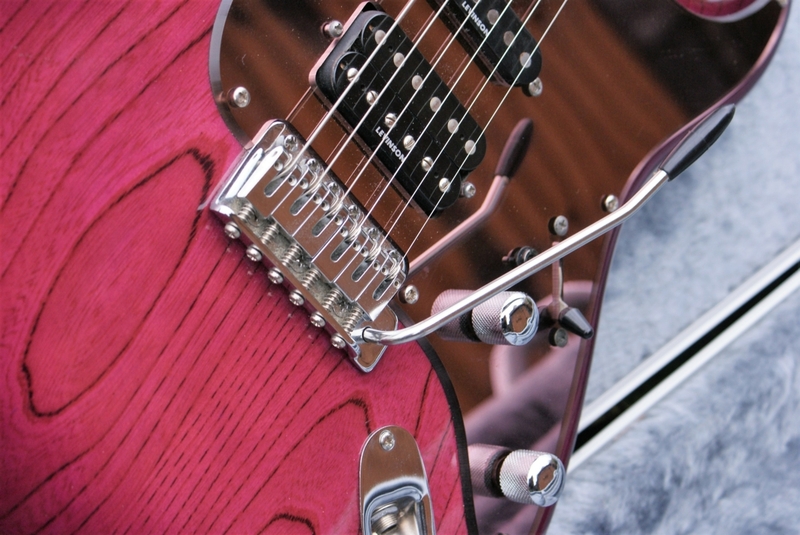 She has two V-3 stacked coil and one LH-55 humbucker pickups, volume/push-pull tone (humbucker coil tap) controls, five-position selector switch, VSC switch, Variable Spectrum Control active electronics. 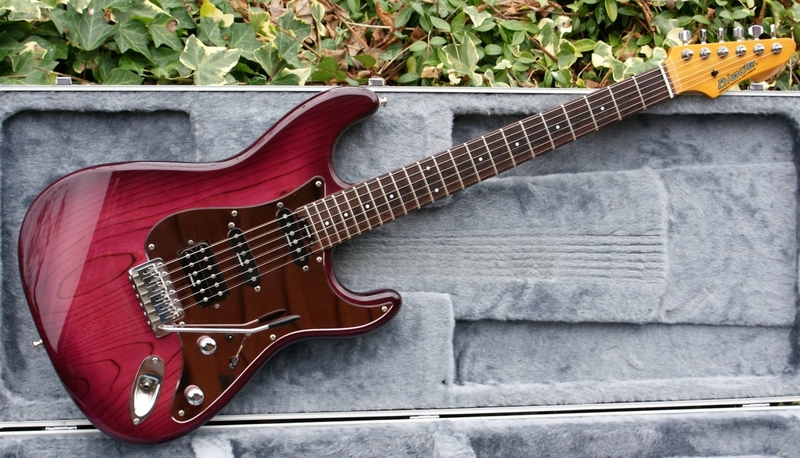 You would be hard pushed to find a better example of this 1998 model.